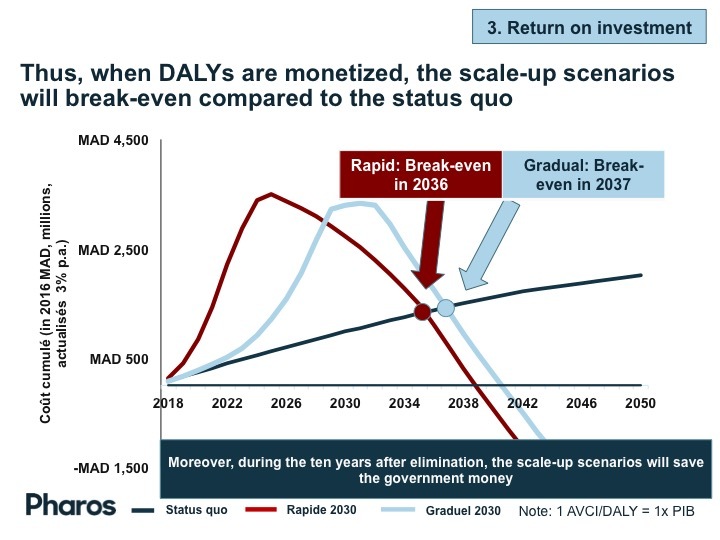 This slide shows the different scale-up scenarios modeled. 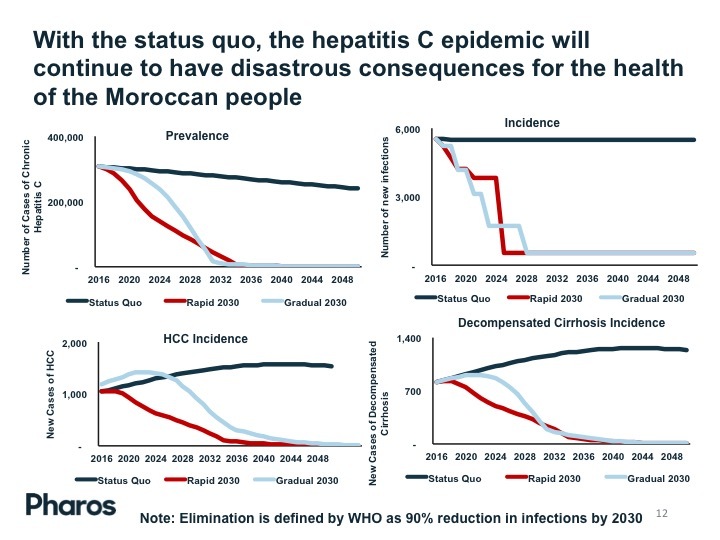 Here the epidemiological impact of the different scale-up scenarios is shown. 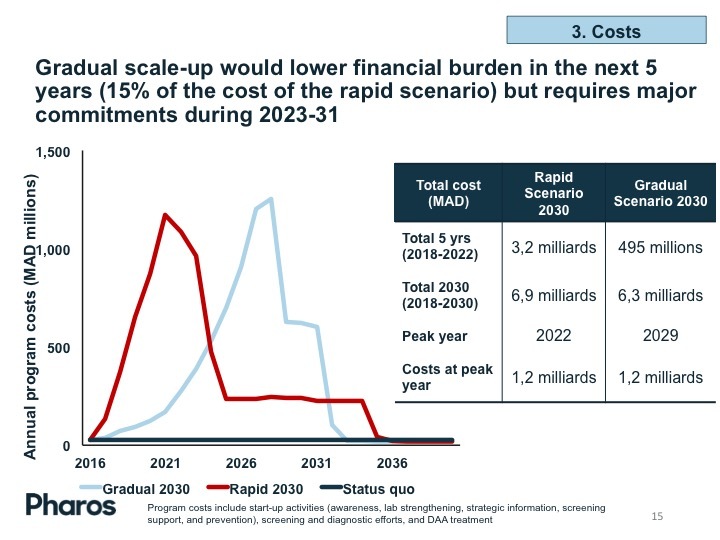 The costs of the scale-up scenarios. 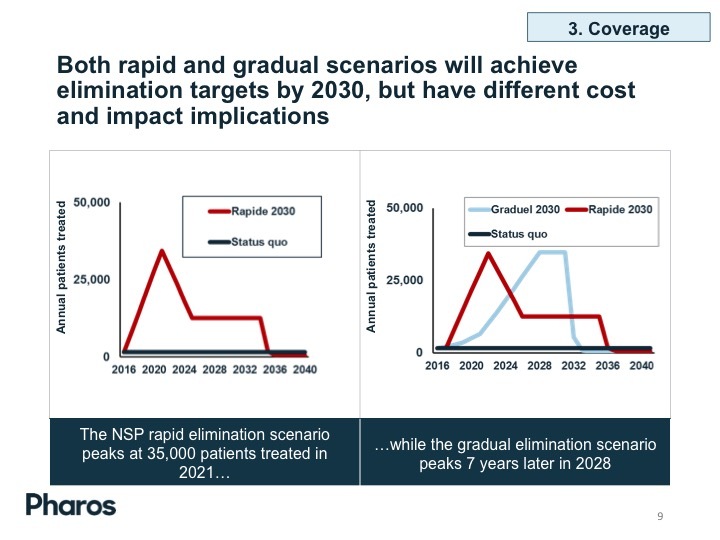 The return on investment of the scenarios. 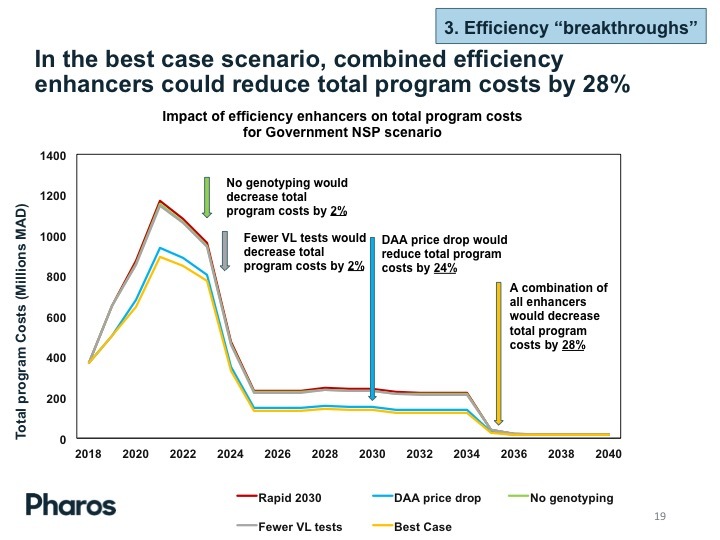 The effect of possible price reductions on the total cost of the rapid scenario.